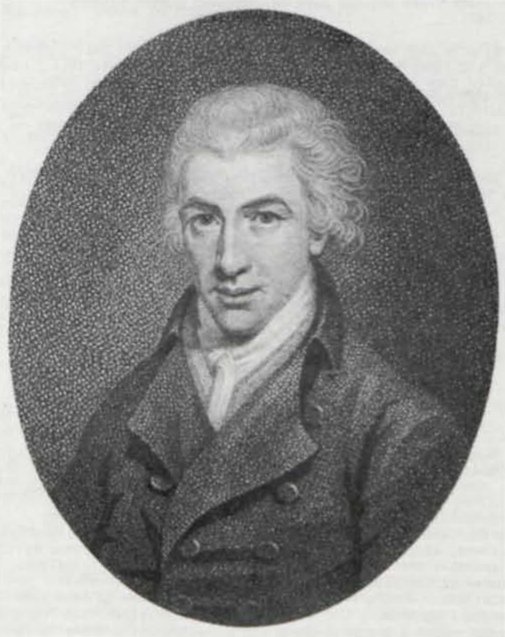 William Hayley. Ode to Mr. Wright and Other Poems, The Eulogies of Howard/Ballads/Poems on Serious and Sacred Subjects, A Poetical Epistle to an Eminent Painter and Other Poems, An Essay on Sculpture. Students who learn from their mentors only that Blake left Felpham in a snit, that thereupon he “immortalized [Hayley] as a fool not to be endured,” and so conclude, “no one much cares what Hayley said,” are unlikely to be affected by, much less interested in, historical judgments of Blake’s patron—are indeed apt to be impatient with them and unappreciative of an effort, such as Donald Reiman’s, to situate Hayley in a “Romantic Context.” They may even be suspicious, if not wholly contemptuous, of an enterprise that would publish four volumes of Hayley’s verse under the caption, “Significant Minor Poetry” (my italics). This poetry is not by current standards, much less by the standards of Hayley’s more astute contemporaries, good. It is, in the most generous terms, an achievement of the left hand, yet offers its own rewards, even to the most recalcitrant Blakeans, presuming they are able to cast off prejudice long enough to ask the right questions. Why Blake left Felpham we know. Why he went to Felpham in the first place and what he and Hayley talked about, off and on for three years, are matters of interest that these four volumes might fuel. They do not answer such questions, to be sure, but set forth clues for answering them; they might even inspire a more enterprising student to heed the Hayleyan plea—“extend that biographic page!”—and, in the process, to adjudicate between widely discrepant assessments of Hayley’s place in literary history and of the role he might have played in Blake’s life and art, even in the formation of an aesthetic that underlies it. Reiman’s Introduction, not tailored to individual volumes but expediently (for the publisher) reprinted four times, formulates the paradox of Hayley’s once being among “the most respected poets, as well as the most popular . . . in England” (p. v) and now being scarcely remembered except by Blakeans, and then usually scornfully. The praise bestowed upon this poet by the popular culture, which contributed to his being offered the Laureateship in 1790, was an anathema to most of the major Romantic poets who even if they judged Hayley unworthy of that honor (so Hayley also judged himself!) could accept, albeit grudgingly, Southey’s estimate of him quoted in the Dictionary of National Biography: “everything about that man is good except his poetry.” Like his fellow Romantics, Blake probably judged Hayley to be a rhymester not a poet, but, again like them, may have found something, both in his prose writings and in conversation, to redeem Hayley. Even if Blake was as jealous in his independence, as petty in his relationships, and as stingy in his praise, as some critics make him out to be, he might have concurred in the following sentiment so long, that is, that he did not know its author was Leigh Hunt: “two things must be remembered to his honour, . . . he has been the quickest of our late writers to point out the great superiority of the Italian school over the French; and . . . has been among the first . . . in hailing the dawn of our native poetry.” To be remembered too, though not always to his honor, is Hayley’s relationship with Blake, a three-year encounter, which, having for so long been caricatured, needs now to be humanized and then re-viewed along the lines that Reiman proposes: “His work on plates for a number of Hayley’s titles suggests that a study [of them] . . . in the light of Blake’s ideas is likely to point to the origin of details (perhaps parodying Hayley’s ideas) in Blake’s own writings after 1803” (pp. xii-xiii). In this way the blankness of the historical record regarding the extent of their agreements and disagreements might be filled in with plausible speculation that remains faithful to the principles of both men. What did Blake and Hayley talk about? Why might Blake have felt intellectually in his debt despite deep, even irreconcilable, differences? Hayley’s poetry, along with the accompanying notes, provides some ground for conjecture. They talked about Milton certainly (in An Essay on Sculpture, 1800, Hayley calls him “The hallow’d Homer of the Christian world” [II. 170]); and they probably talked about the whole epic tradition of which Milton was England’s mighty exemplar, of Sidney and Spenser perhaps, and of Dante and Tasso. Hayley thought Dante’s poetry, especially the Ugolino episode, might provide a new subject matter for painters and, in An Essay on Epic Poetry, 1782, offered the first sustained English translation for the Commedia—a rendering in terza rima of the first three cantos of the Inferno. As early as A Poetical Epistle to an Eminent Painter, 1778, addressed to George Romney, Hayley urged, “Let Milton’s self” lead the artist to portray “the scenes that blaze in his immortal song,” singling out his Michael and especially his Satan who is “more sublimely true” than that of Raphael, Guido, and West—a Satan who has not yet lost his original brightness as he awakens his legions or, still earlier, as he is “falling from the Realms of Bliss, / Hurl’d in the Combustion to the deep Abyss” (II. 451-74, Notes, p. 76). Allusions to Milton elsewhere in Hayley’s poetry reveal a mind captivated by the episode of Ithuriel’s spear. Romney picked up such hints, and Blake may have responded to them as well. In An Essay on Sculpture Hayley returns to Milton, this time to celebrate him with Tasso as one who “Imbib’d the fervour of sublime design” (I. 133); with Michelangelo as one who, achieving a perfection that no precepts teach, “close[d] / A life of labour in divine repose, / In that calm vale of years” (I. 157-60); and with Newton as an example of men in whom “ceaseless toil” produced “pure minds” and who “to glory climb’d” (I.230-38). Here again Hayley urges sculptors “To quicken marble with Miltonic fire” (II.194) and, later, praises the industry and genius of Fuseli’s Milton Gallery. Here too he will praise Paradise Regained for containing “the sublimest censure of the national conduct of Rome” (Notes, p. 306) and, in An Elegy on the Death of Sir William Jones, 1795, the “local exactitude” of Milton’s descriptions (Notes, p. 25). But in An Essay on History, 1780, he had already complained of the “Danger of dwelling on the distant and minute parts of a subject really interesting,” observing Milton’s “Failure . . . in this particular” (III, Argument). There are poems like The Eulogies of Howard that through an epigraph, “to tell of deeds / Above heroic,” will establish a Miltonic context or that through a subtitle, “A Vision,” will invoke a tradition of which, in comparison with Blake, Hayley has but a diminished awareness. Subjects raised by Hayley’s poetry might also have provided topics for conversation: Michelangelo and Raphael; John Howard, the prison reformer; begin page 50 | ↑ back to top Newton, religionist and scientist; Cowper, Romney, Reynolds, Flaxman, and Fuseli; William Jones, Thomas Maurice, and their Asiatic researches; Bishop Lowth and his lectures on the bardic poetry of the Hebrews. Individual phrases, however puerile their contexts, might have captured Blake’s attention—“mental eyes,” “mental vision,” “optics of the mind,” “a mental mist,” “unfetter’d forms,” “art divine,” “living forms,” “vast design,” “radiant structure”—perhaps even an entire line like this one from Ballads: “I see thee riding in the sun, / Upon the Eagle’s back” (III). Certain of Hayley’s ideas, however inadequate their poetic embodiment, might similarly have provided occasions for conversation: “the removal of . . . galling fetters” from mankind; “Jesus enthron’d in every human heart”; “boundless vision . . . uncrampt by time and space”; “the bard, to rhymes no more confin’d”; “Adam’s race redeem’d from woe . . . [and] Paradise to man restored.” Blake would have entered his demurrals, of course; and Hayley may have been patronizing, or worse, in receiving them. But if our renewed consideration of their relationship were to suggest a more human and civilized dimension, a modulation of rancor into guarded respect, we might sense that Blake came to feel with Hayley that an appropriate tribute to such respect is to realize another man’s ideas, even if realizing them means sometimes altering so as to improve upon them. If Blake had read Hayley’s Felpham, 1814, he might have cast himself into the role assigned to Cowper, that of a Miltonic bard laboring to unfetter the human mind. Blake might even have imagined himself accomplishing what Hayley says his son—had he lived—would have accomplished: “Confederate arts” joining “to see / Their English Michael Angelo in thee” (p. 22). The extent to which Blake came to Felpham as a surrogate son who disappointed, and was disappointed in, his father needs exploring. With Hayley’s conception of the arts and of artistic objectives as they are set forth in An Essay on Sculpture Blake could not help but have agreed. He would have joined Hayley in resisting those “mental tyrants” in their effort “To limit England in the sphere of Art” (II. 165-66); with Hayley he would also have belittled “foreign Theorists, with System blind, / Prescrib [ing] false limits to the British mind” as Hayley puts it in A Poetical Epistle (II. 15-16). He would have agreed with Hayley that through the arts a nation makes bold advances to ideal life, that the arts, while they reveal the “destin’d havoc” of the world, are also heralds of a purer day (IV.578-86). He would probably have found Hayley’s analogizing of the young artist to “A young Prometheus in a vulture’s clasp” (VI.20) pointedly relevant, even ironically apt, to his own situation of which the very man who hoped that young artists would not be tyrannized by engravers and who, in A Poetical Epistle, allowed as how fashion “fetters the creative hand” (I.53-56) now seemed so remarkably insensitive. It remains one of the ironies of literary history that Hayley who chastized others for confounding, depressing, dampening the genius of young poets seems to have done just that, at least for a time, with Blake. Hayley must have seemed a strangely divided personality to Blake, as he did to other of the Romantic poets. Yet all of them, including Blake, would be expected to see art, along with Hayley in An Essay on Sculpture, as emerging, still emerging, from darkness and “shin[ing] through Oppression’s storm” (IV, 22-23),—as being a projection of that history, at once epical and tragical, which it would alter. The very alignment that Hayley, in An Essay on History, perceives between history and art, the former lending a dramatic center to the latter, must have fired Blake’s interest in, impelled his scrutiny of both history and art, the former not chronicled but mythologized however, and the latter raised to the key of prophecy and vision. In the very act of identifying Hayley with Hyle, some of Blake’s critics have scandalized a relationship that begs to be psychologized; moreover, they have Newtonized a vision whose ultimate goal is to save us from single vision and Newton’s sleep. Blake’s poetry is not, in the words of An Essay on Sculpture, “mere allegory” (Notes, p. 188). If Donald Reiman’s Hayley helps to redeem us from the simple equation, Hyle = Hayley, it will have performed a valuable service for Blakeans; and in the very act of setting Hayley within a Romantic context Reiman has brought us one step nearer capturing the spirit of an age that is as much the age of Hayley and Hunt as of Southey and Shelley, of Byron and Blake.